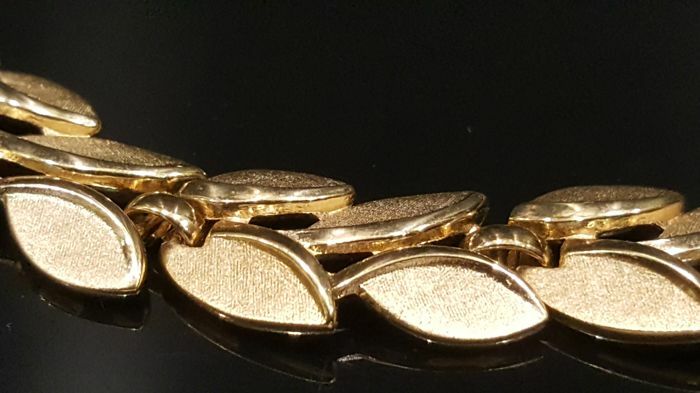 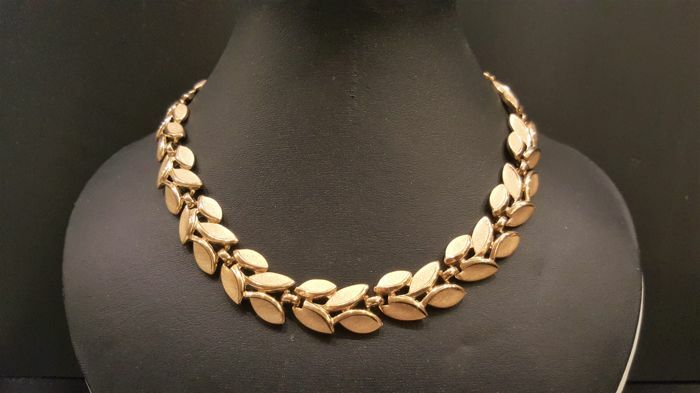 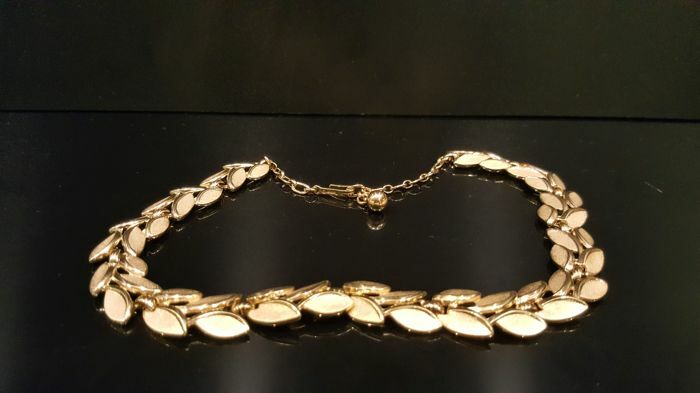 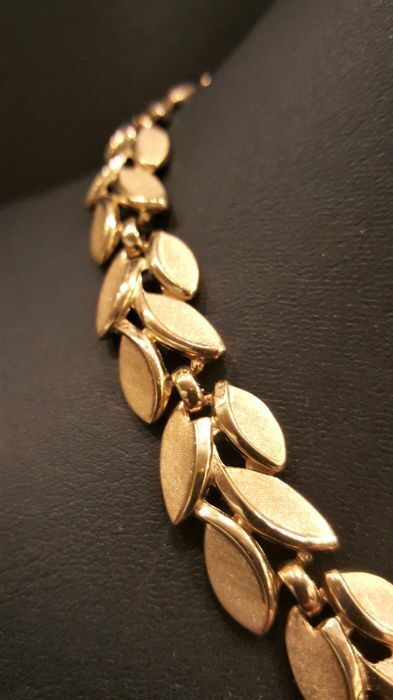 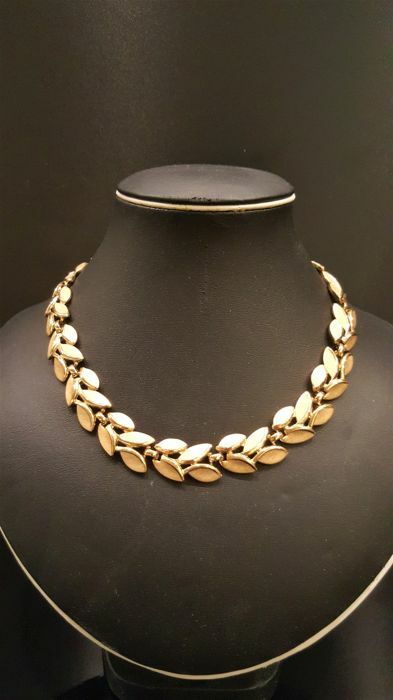 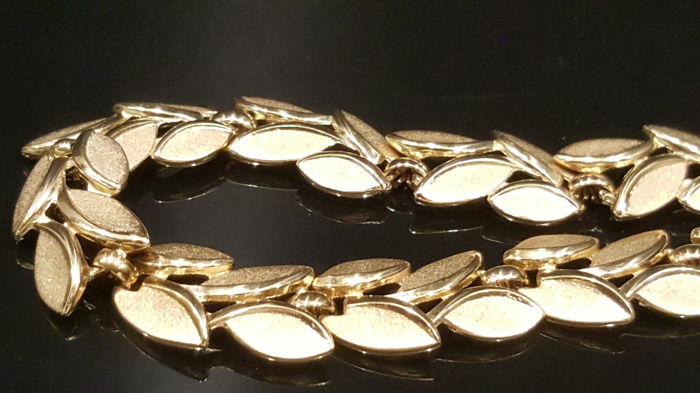 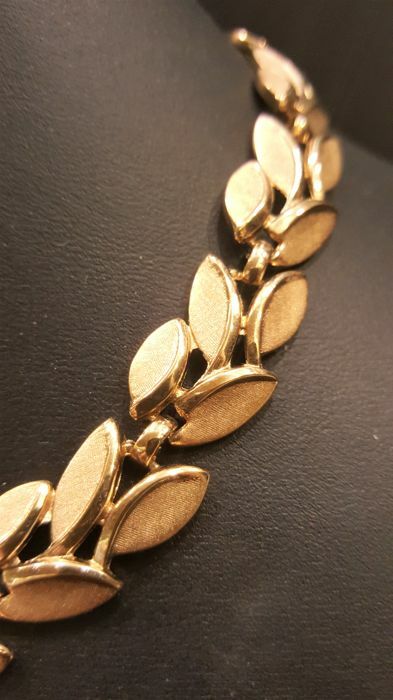 Vintage signed Trifari Alfred Philippe Necklace from 1950's. 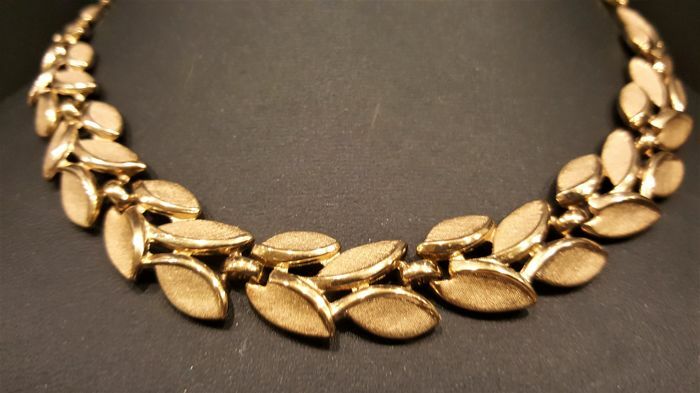 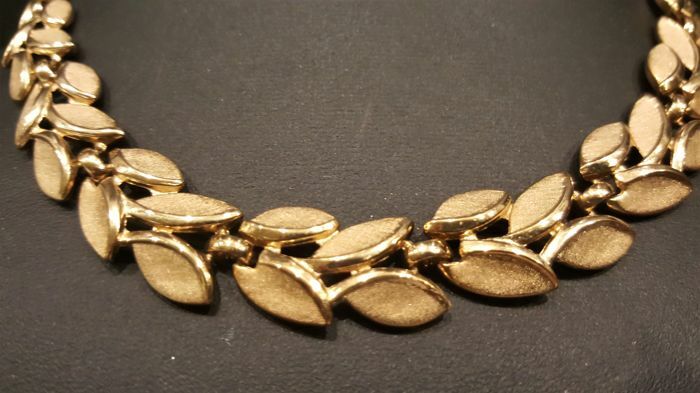 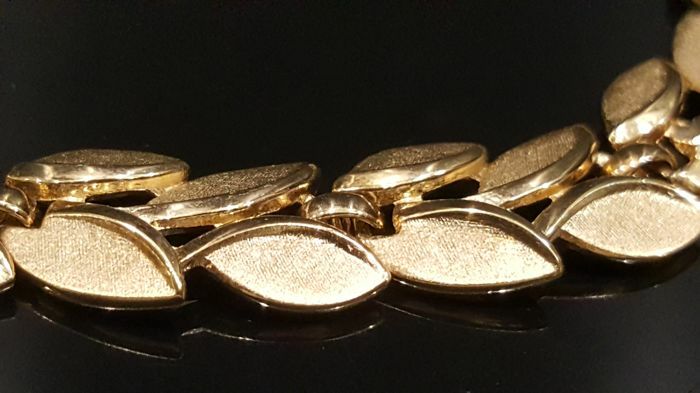 Gold toned, textured material with leaf motives decoration. 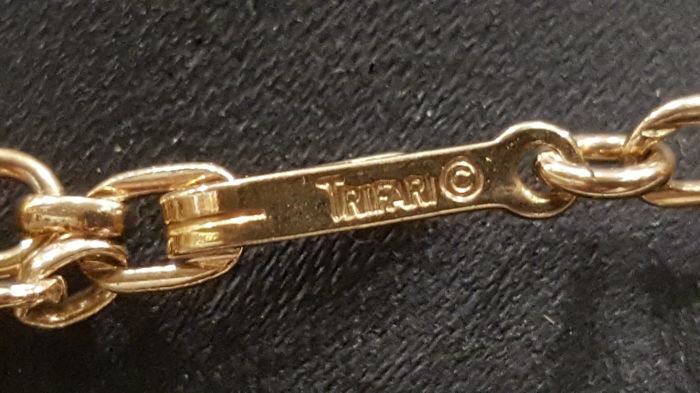 Unique design, safe closure, signed at the clasp. 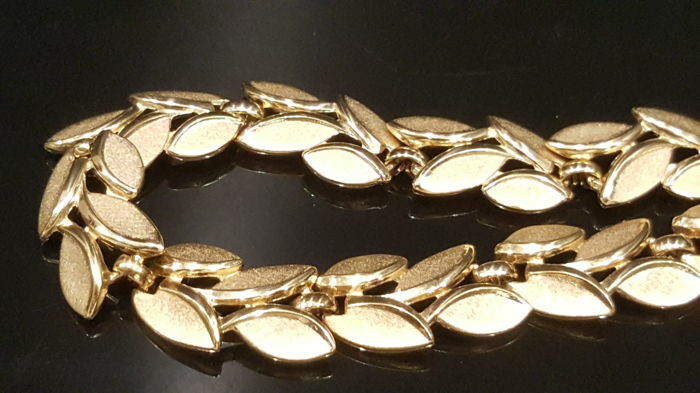 Condition is excellent vintage condition with hardly any sign of age.